Well this is a really cute addition to the Michael Hunter for Twists Glass menagerie! 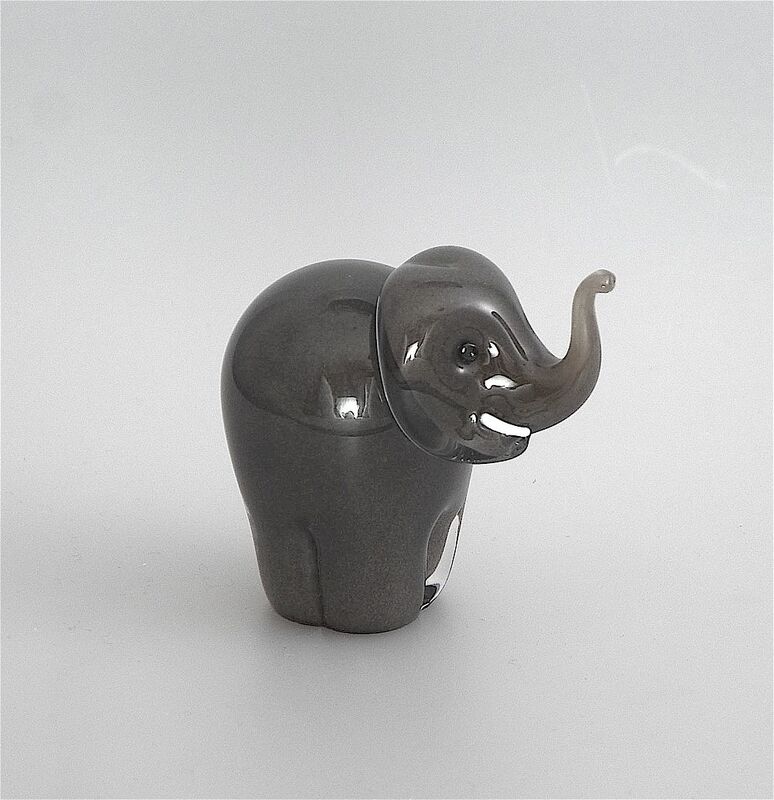 Made by Mike in 2017 this little fellow is in grey glass encased in clear glass with white tusks & black glass "button" eyes. The base is scratch signed "M Hunter Twists 17" and has the Twists Glass studio label.